The CHFI course will give participants the necessary skills to identify an intruder’s footprints and to properly gather the necessary evidence to prosecute. Many of today’s top tools of the forensic trade will be taught during this course, including software, hardware and specialized techniques. The need for businesses to become more efficient and integrated with one another, as well as the home user, has given way to a new type of criminal, the “cyber-criminal.” It is no longer a matter of “will your organization be comprised (hacked)?” but, rather, “when?” Today’s battles between corporations, governments, and countries are no longer fought only in the typical arenas of boardrooms or battlefields using physical force. Now the battlefield starts in the technical realm, which ties into most every facet of modern day life. If you or your organization requires the knowledge or skills to identify, track, and prosecute the cybercriminal, then this is the course for you. 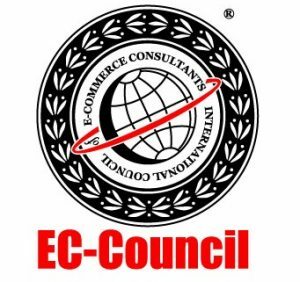 EC-Council releases the most advanced Computer Forensic Investigation program in the world. 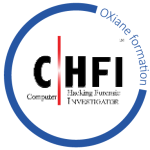 CHFIv8 presents a detailed methodological approach to computer forensics and evidence analysis. It is a comprehensive course covering major forensic investigation scenarios that enable students to acquire hands-on experience on various forensic investigation techniques and standard tools necessary to successfully carry-out a computer forensic investigation. Computer forensics is simply the application of computer investigation and analysis techniques in the interests of determining potential legal evidence. Evidence might be sought in a wide range of computer crime or misuse, including but not limited to theft of trade secrets, theft of or destruction of intellectual property, and fraud. 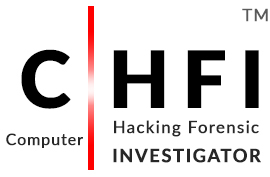 Computer Hacking Forensic investigators (CHFI) can draw on an array of methods for discovering data that resides in a computer system, or recovering deleted, encrypted, or damaged file information. Securing and analyzing electronic evidence is a central theme in an ever-increasing number of conflict situations and criminal cases. Different types of digital evidence, rules of evidence, digital evidence examination process, and electronic crime and digital evidence consideration by crime category - How to track e-mails and investigate e-mail crimes and many more.